Hello friends…I hope your week is off to a great start. It was a long weekend here as we celebrated Thanksgiving. The weather was gorgeous and we took full advantage of it. 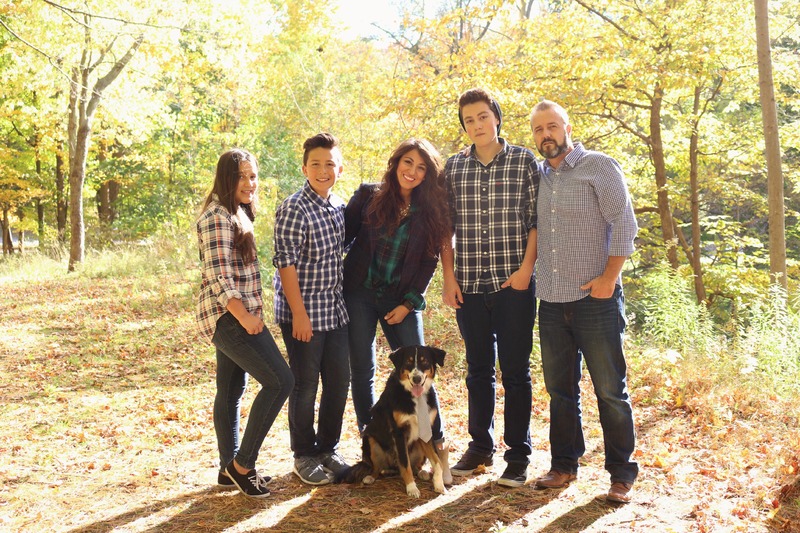 It has become somewhat of a tradition for us to head outdoors during this time of year and take family photos. Sometimes I don’t realize how much my kiddos have grown until I see them in photographs. They do grow up so fast. I’ve always been aware of how blessed I am to have these beautiful people around me, but there are days when I am so present in the moment and my love and gratitude for my family overwhelms me. Each one of our children – made of the perfect mixture of my husband and I. And my husband, my true love and my rock. Each season has its own beauty and heading outside to take in the beautiful colours of fall is one of my favourite things to do. 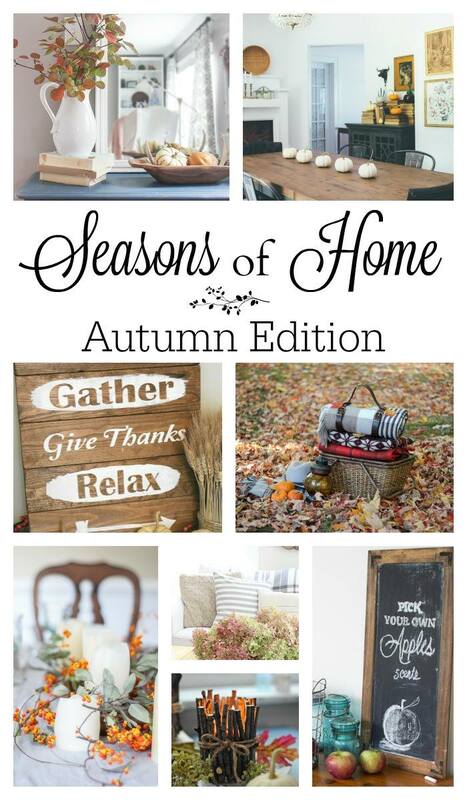 And speaking of tradition, for the past two years, some of my best bloggy friends and I have been sharing the Seasons of Home series. For this year, I wanted to make something that will not only be practical, but also pretty to display at home as we cozy up our nest for the colder days ahead. Roll up a blanket. 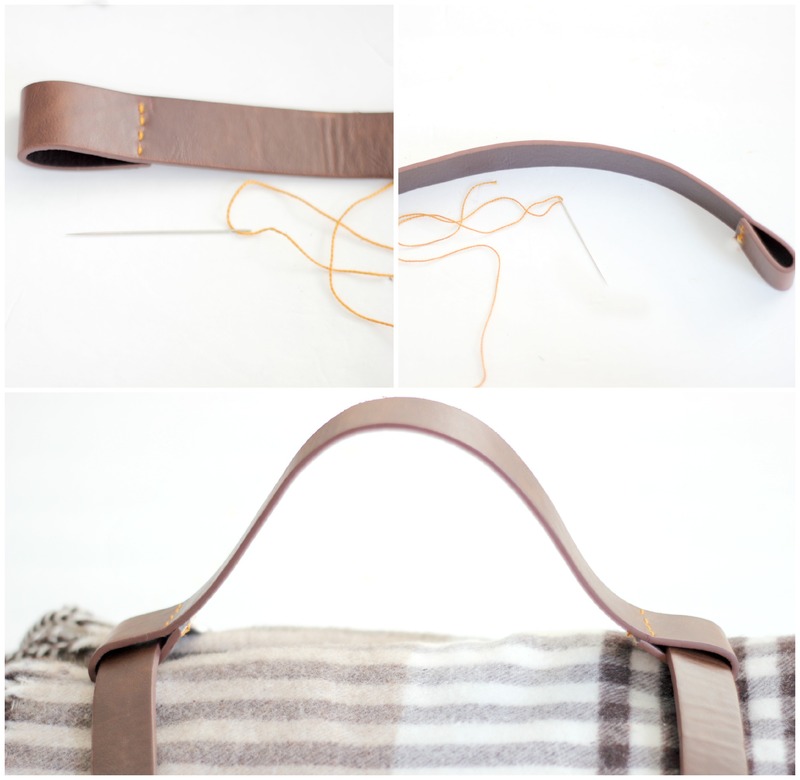 Take one of your belts, wrap it around one end of the blanket and mark where the holes will be. Round the end of the belt. – Take another belt and cut off the buckle and the area where the holes begin. This one measured approx 18 inches. 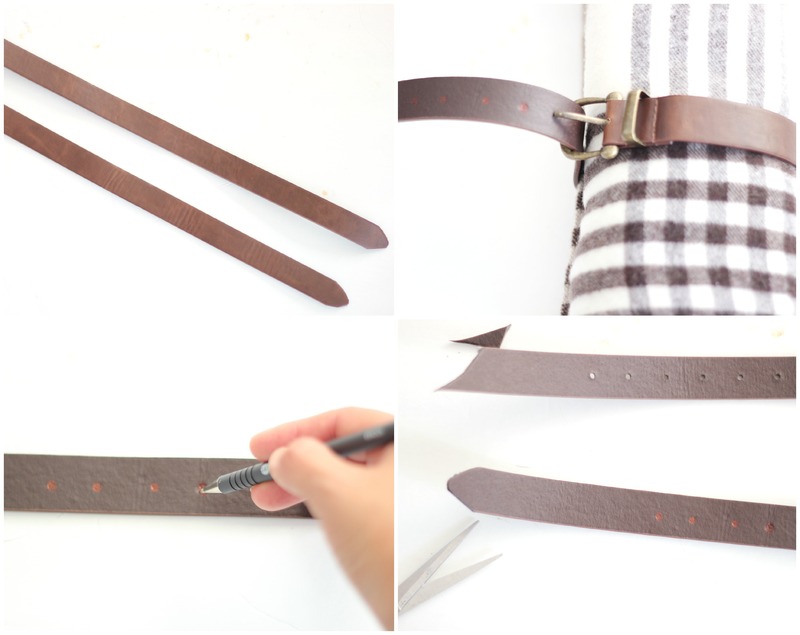 – Make a loop on the belt large enough to allow the other belts to fit through. – Fit both belts around each loop and buckle together. The belts are inexpensive thriftstore belts, or you can purchase faux leather belts at the Dollar Store. And that’s it! 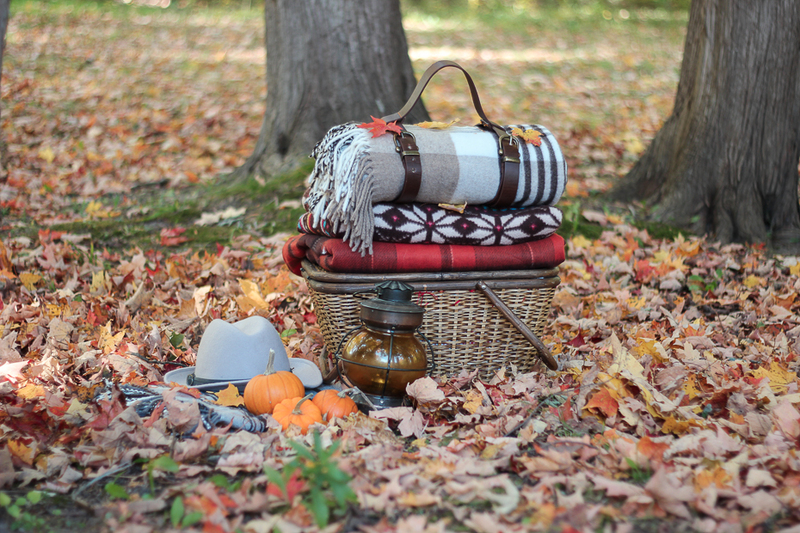 You have an adorable blanket carrier that you can bring along your next fall picnic or any time a year picnic. What a great project! And I love the photography in all the leaves. I hope your Thanksgiving was amazing. Hard to believe it’s already come and gone! 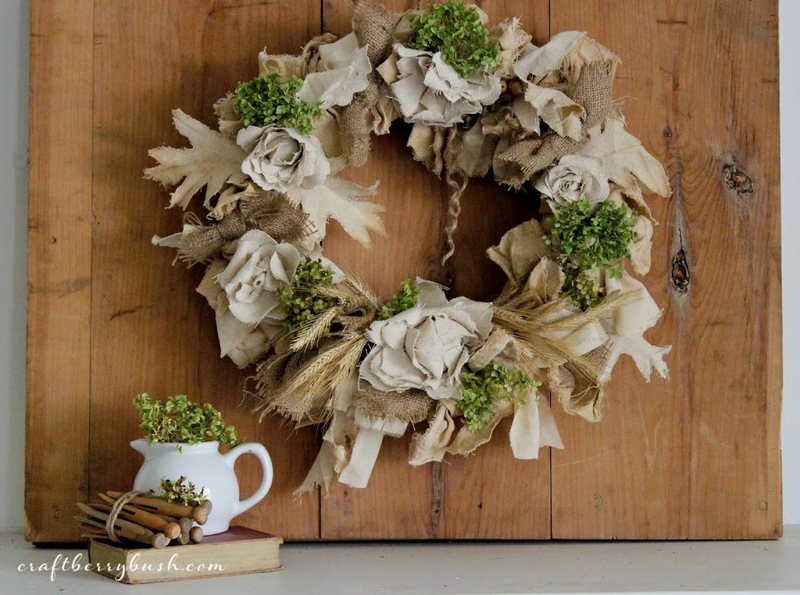 Everything you do is beautiful and innovative……I love the wreath, but looks a little above my talents!! Great tutorial. I have one question though. It looks like you sewed this by hand judging by the pic. What stitch did you use so that it will stay secure? What a great idea! Since my dad used to make leather crafting things like wallets, purses and belts, I know he has all of this stuff in the house! I never would have thought of anything like that but leave it to you to do the thinking for me! Lucy you are incredible. Like this is so original as a DIY. AND I LOVE IT SO MUCH. You are my favorite. That is so dang brilliant! 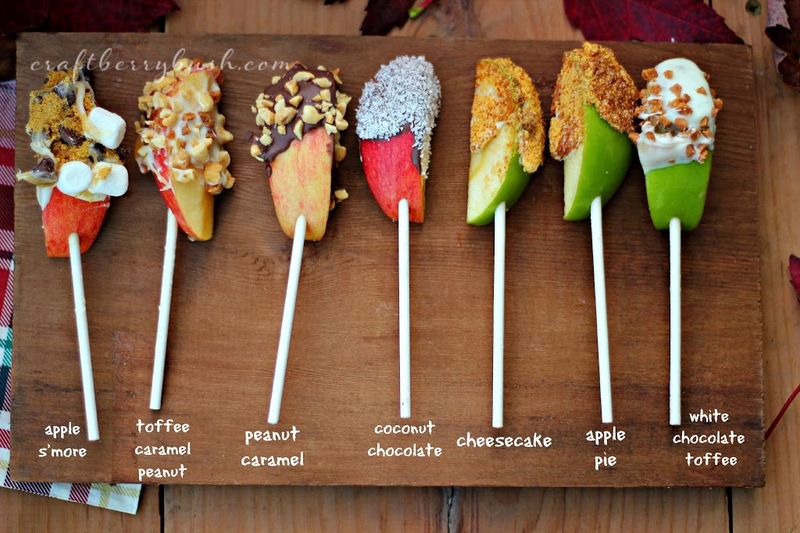 I’ve seen these but never thought to DIY it! Girl, you knock my socks off every time. What a great idea! Thank you for the tutorial…. Your blanket carrier is genius, Lucy! I always hate lugging blankets to football games but your idea makes it manageable! 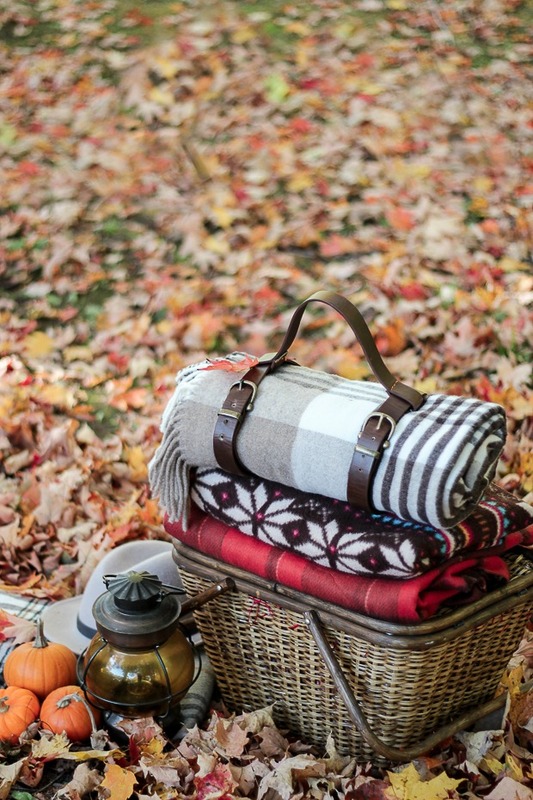 Love the blanket carrier. I also love the way you set up your shots to photograph your projects. This one makes it look so warm and cozy being outside with nature. 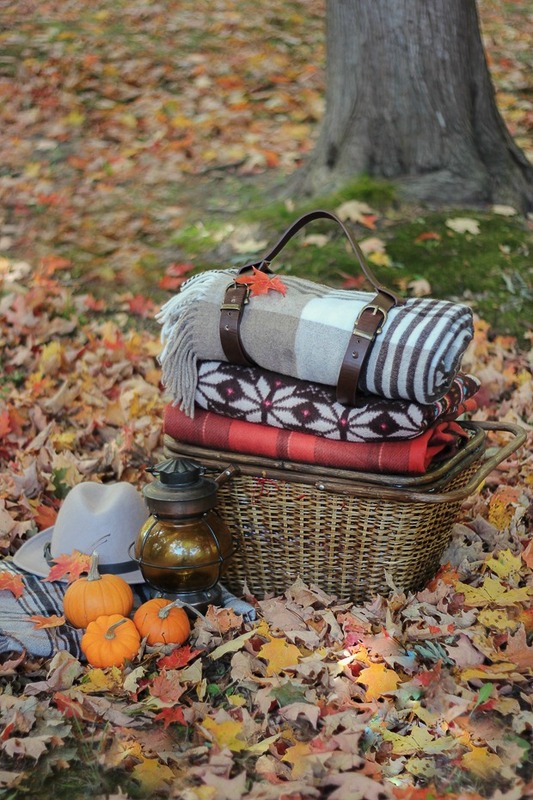 Your blankets are beautiufl and displayed on the picnic baskets just makes me want to pack lunch and hike to the mountains! Your are an inspiration. 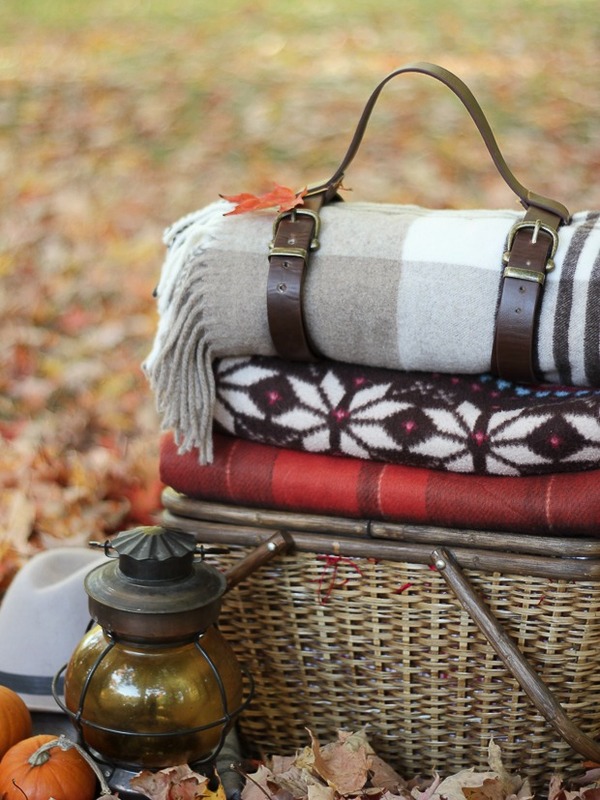 Awesome idea Lucy, Looks easy enough to make at home… I think I even have some belts laying around, and the perfect plaid blanket to go along with it!